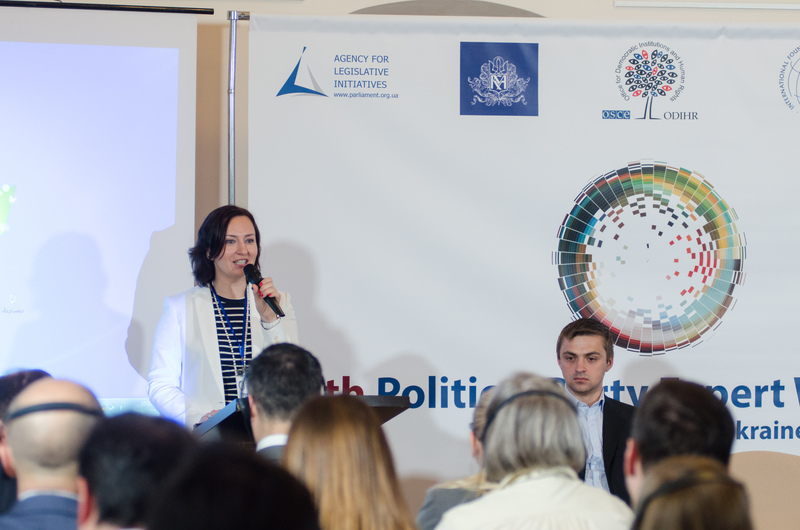 З самого початку кризи в Україні та навколо неї БДІПЛ відіграє важливу роль у реагуванні ОБСЄ на цю кризу, провівши у березні 2014 року, спільно з Верховним комісаром ОБСЄ у справах національних меншин, Місію з оцінки стану справ із дотриманням прав людини. 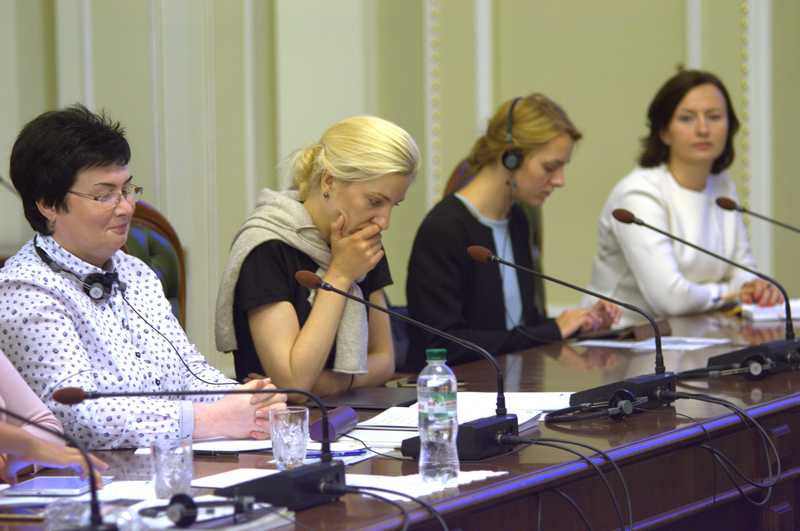 Бюро активно долучається до невпинних зусиль ОБСЄ з урегулювання кризи, у тому числі шляхом cпостереження за виборами, подальшого оцінювання стану справ із дотриманням прав людини у країні, відстеження становища народностей рома і сінті, зміцнення діалогу між владою та громадянським суспільством та підвищення безпеки релігійних громад та інших груп в Україні. 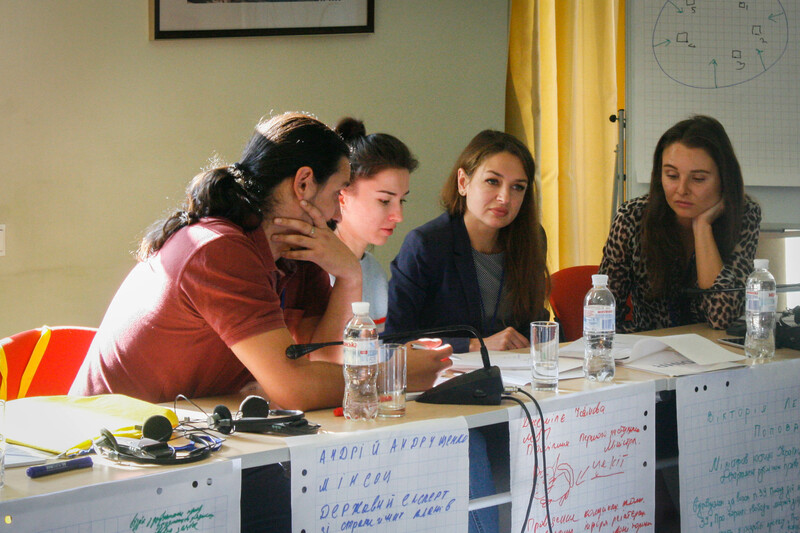 Ukrainian civil society representatives working on human rights issues participate in a training course organized by the OSCE Office for Democratic Institutions and Human Rights (ODIHR) to improve the capacity of human rights defenders to conduct human rights monitoring and increase their own safety and security. 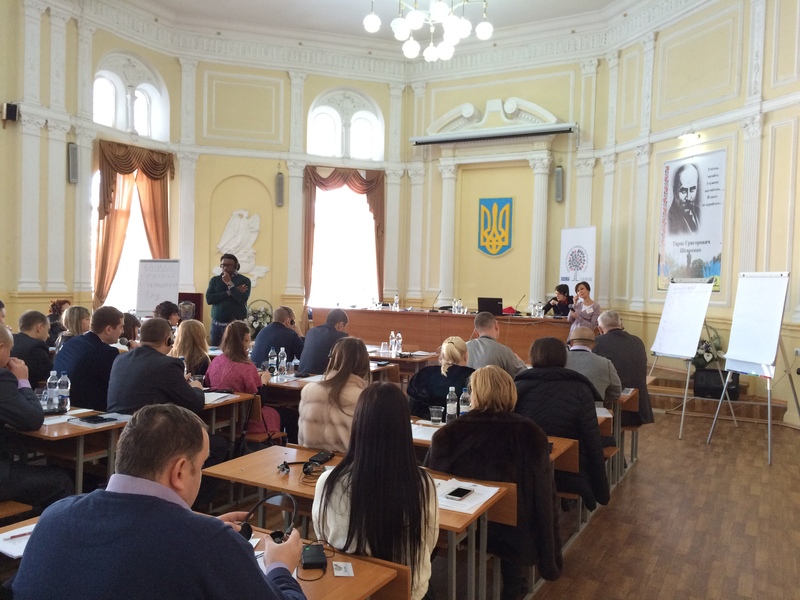 Zaporizhzhia, 13 November 2018. 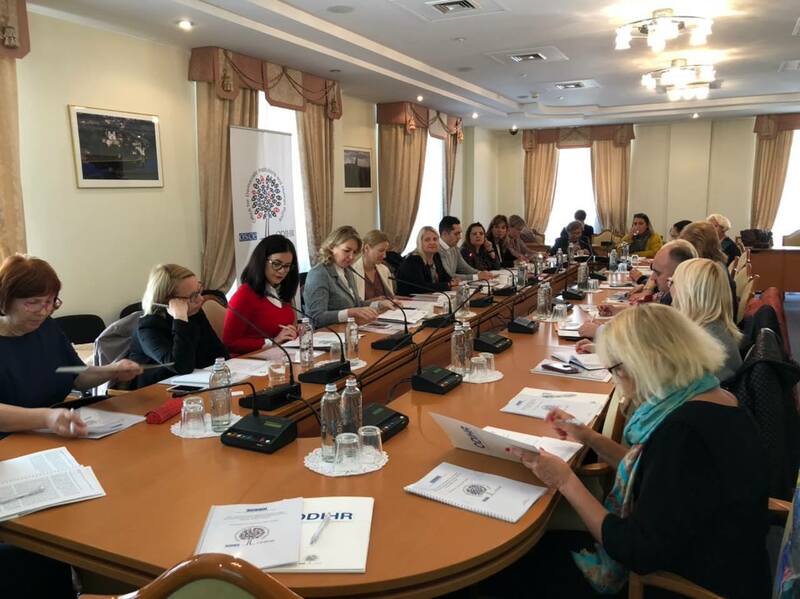 Participants in a meeting hosted by the Equal Opportunities Caucus of Ukraine’s parliament discuss a new ODIHR report examining the effectiveness of regional gender equality mechanisms in Ukraine. Kyiv, 12 October 2018. 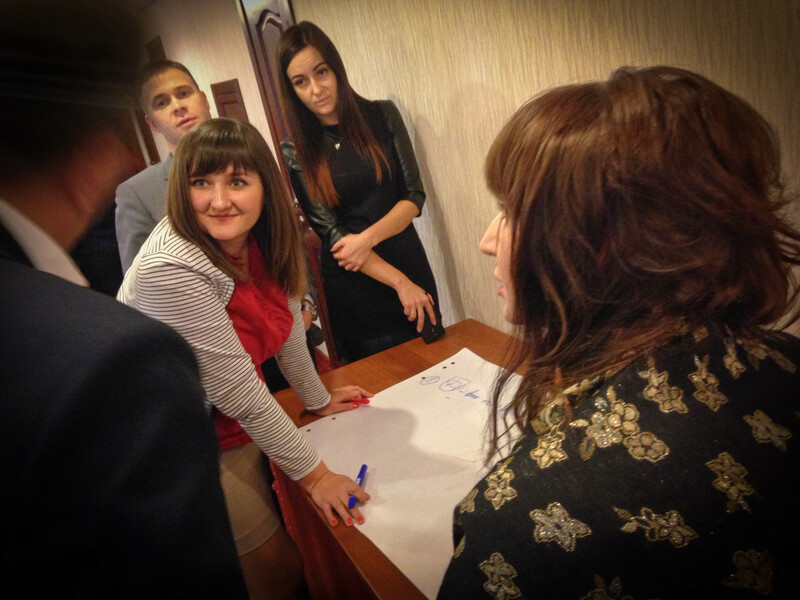 Ukrainian civil servants participate in an excercise to identify the key elements of national human rights strategies and action plans during a workshop organized by the OSCE Office for Democratic Institutions and Human Rights (ODIHR). 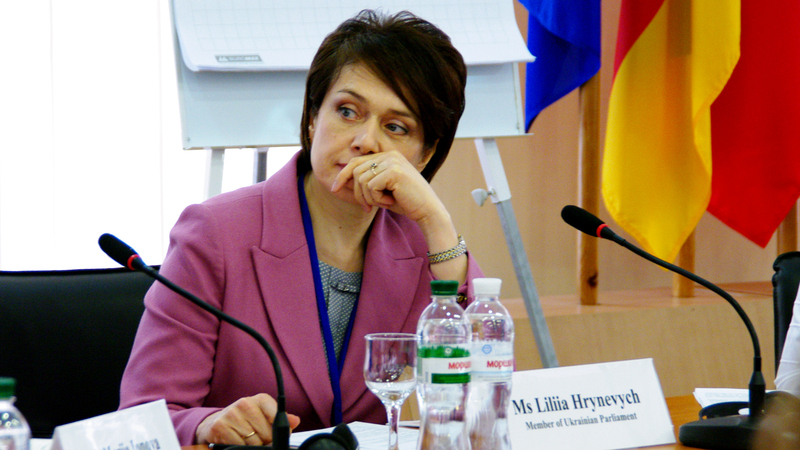 Kyiv, 3 October 2018. 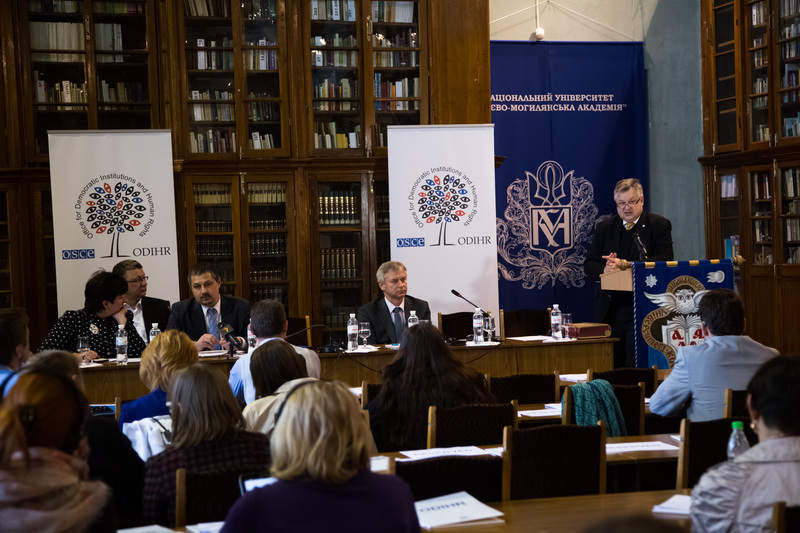 Representatives of Ukrainian law enforcement training institutions and police participate in a train-the-trainer course on human rights-compliant assembly policing organized by the OSCE Office for Democratic Institutions and Human Rights (ODIHR). Kyiv, 30 August 2018. 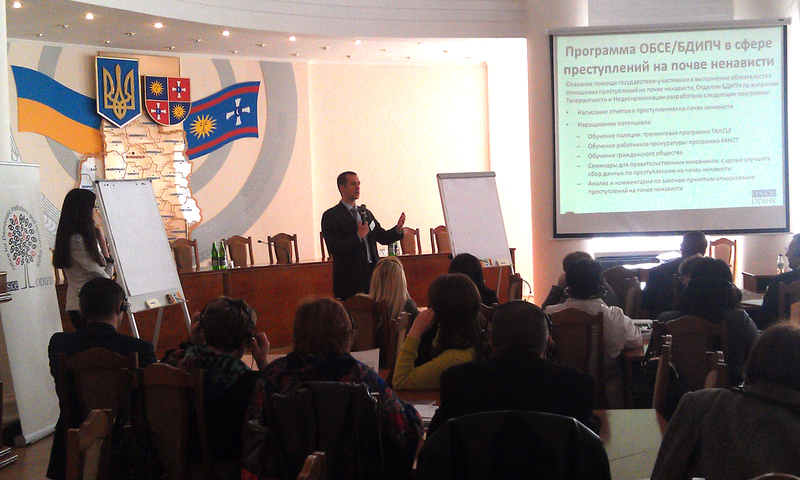 Mykola Kuleba, Commissioner of the President of Ukraine for Children's Rights, presents during a launch event of the Ukrainian translation of Guiding Principles on Human Rights in the Return of Trafficked Persons, as Tatiana Kotlyarenko, ODIHR Adviser on Anti-Trafficking Issues, listens. Kyiv, 21 August 2018. 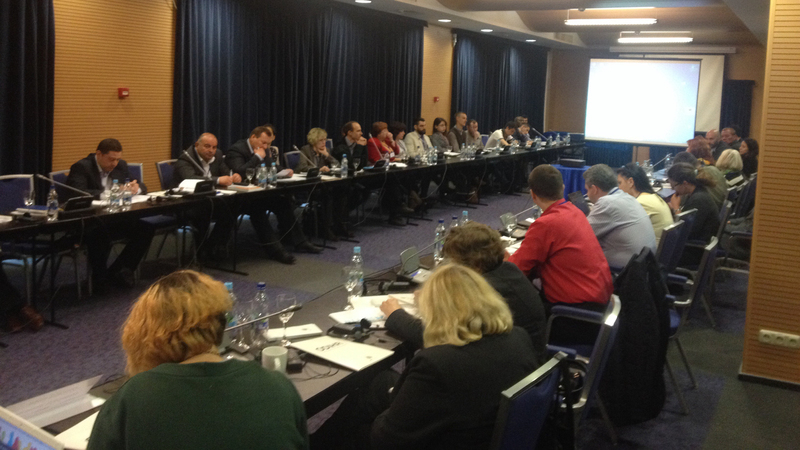 Ama Kraja (left) and Iris Petrela (right) from the OSCE Presence in Albania contribute to the OSCE's annual trial monitoring meeting. Kyiv, 12 June. 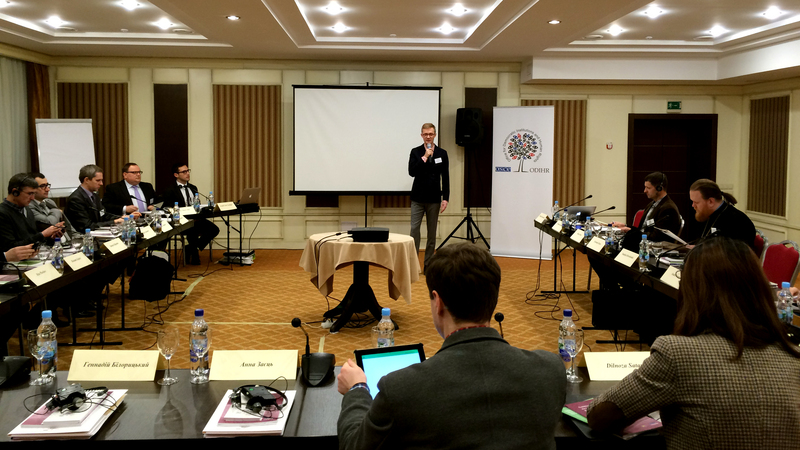 Elections experts from the OSCE Office for Democratic Institutions and Human Rights (ODIHR) meeting with representatives of Ukraine's Central Election Commission during a visit to Kyiv to assess the status of follow-up on ODIHR’s electoral recommendations. 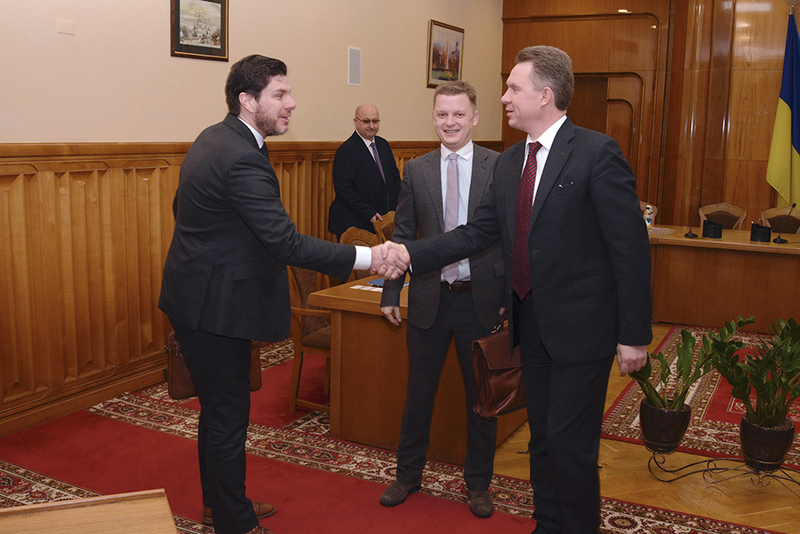 8 February 2018. 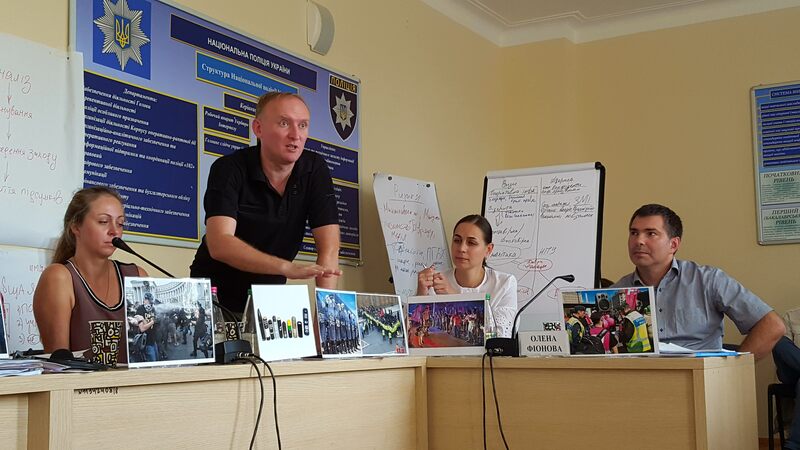 Ukrainian police educators and officers participate in a group exercise during a capacity building event on preventing and responding to sexual and gender-based violence. 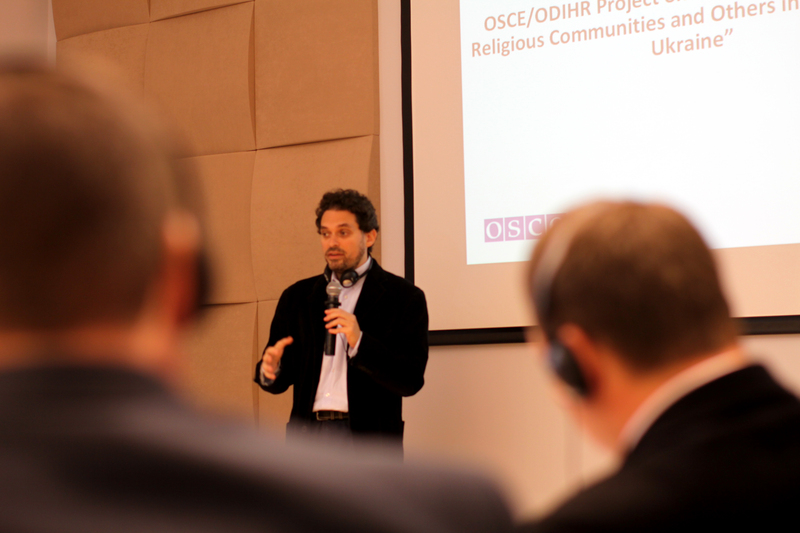 The event was organized by the OSCE Office for Democratic Institutions and Human Rights (ODIHR) in Kyiv on 22 and 23 November 2017. 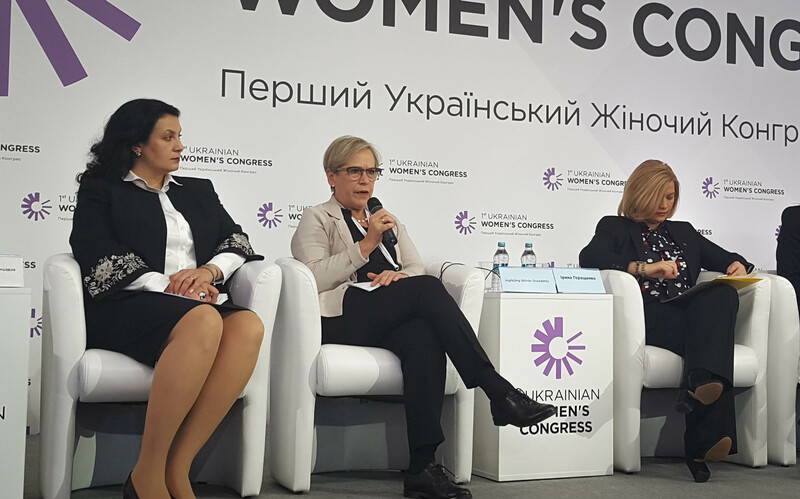 Ingibjörg Sólrún Gísladóttir, Director of the OSCE Office for Democratic Institutions and Human Rights (ODIHR), speaking during the first Ukrainian Women's Congress held in Kyiv on 22 and 23 November 2017, as Ivanna Klympusz-Tsintsadze, Ukraine’s Vice Prime Minister for European and Euro-Atlantic Integration (left) and Iryna Herashchenko, First Deputy Chairperson of the Verkhovna Rada, listen. 22 November 2017. 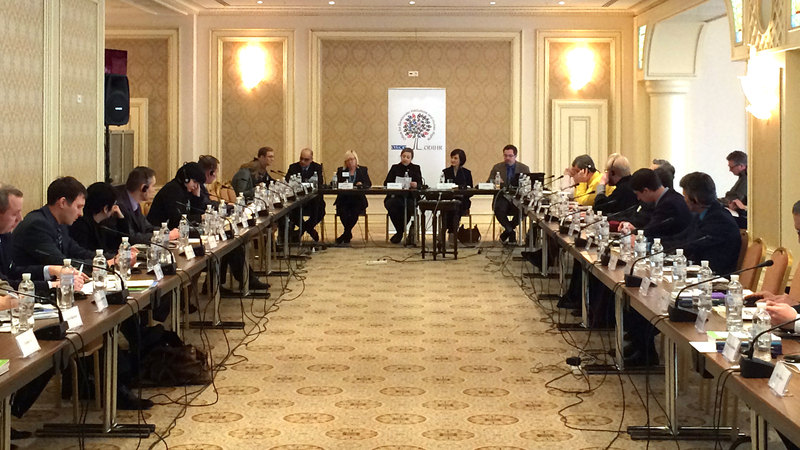 Valeriya Lutkovska, Ukraine's Verkhovna Rada Commissioner for Human Rights, delivering opening remarks at a conference on the human dimension of security in Ukraine organized by the OSCE Office for Democratic Institutions and Human Rights (ODIHR). 26 September 2017, Kyiv. 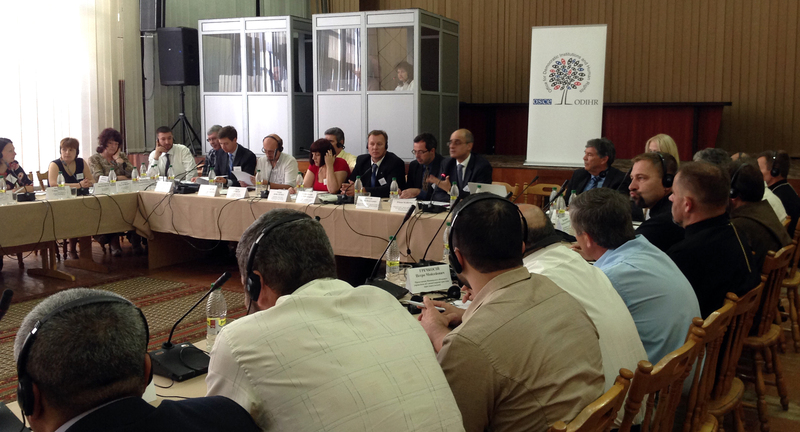 Participants of the ODIHR supported dialogue platform in the Verkhovna Rada in Kyiv, 8 July, 2016. 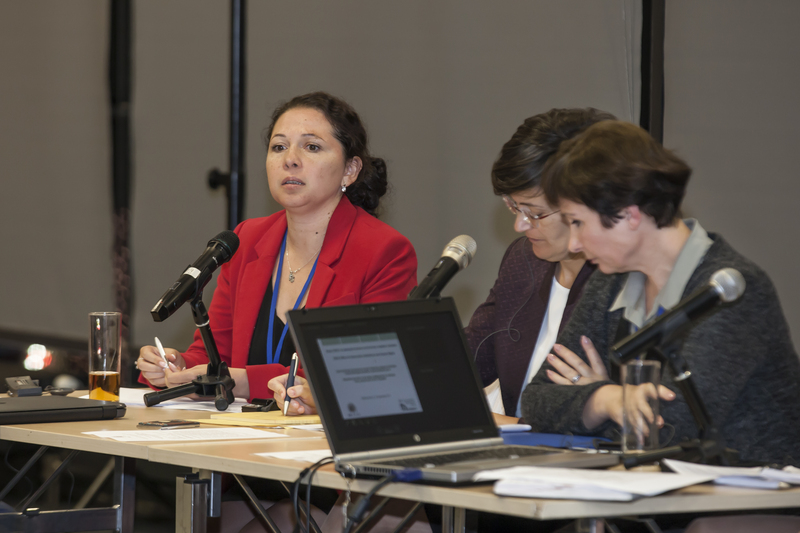 Oksana Syroyid, Deputy Speaker of the Verkhovna Rada (l), listens as Kaja Kallas, Member of the European Parliament (r), discusses the effectiveness of codes of conduct for parliamentarians at an ODIHR event at the European Parliament, Brussels, 1 March 2016. 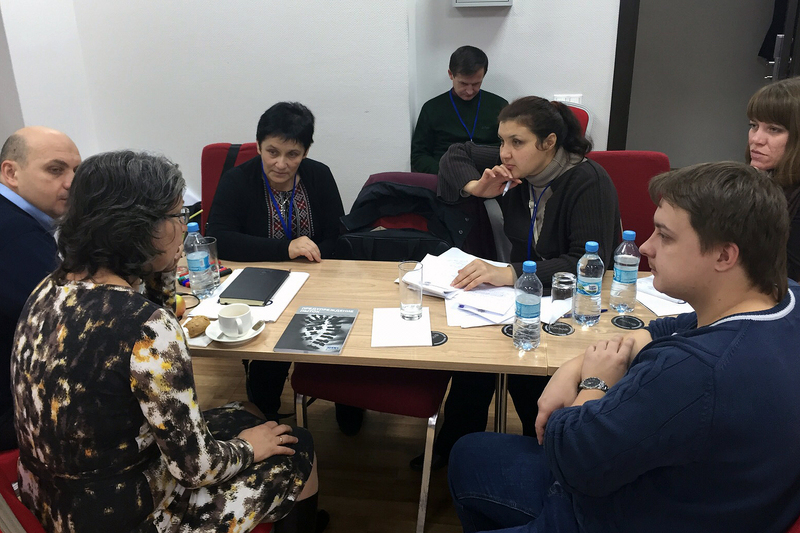 Civil society participants listen as ODIHR trainer Yelena Volochai (l) covers issues related to human rights monitoring at a training event, Kyiv, 5 November 2015. 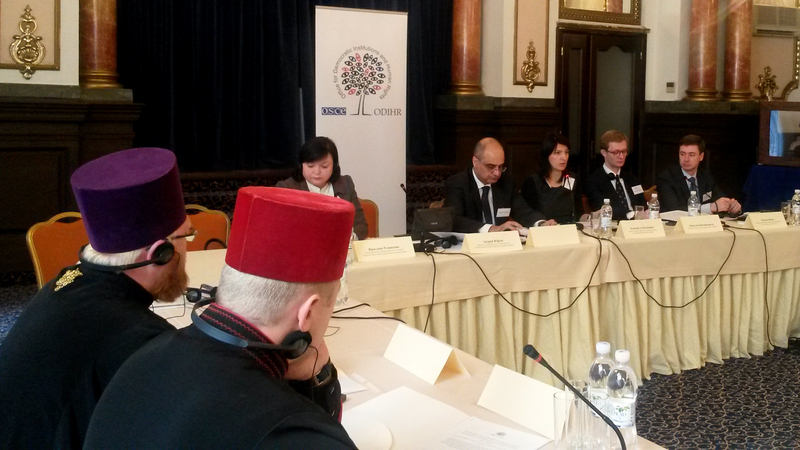 Elizabeth Kitanovic, Executive Secretary for Human Rights of the Conference of European Churches speaking at a roundtable discussion organized by OSCE/ODIHR on the role of dialogue in the security of religious and belief communities, in Odessa, 3 November 2015. 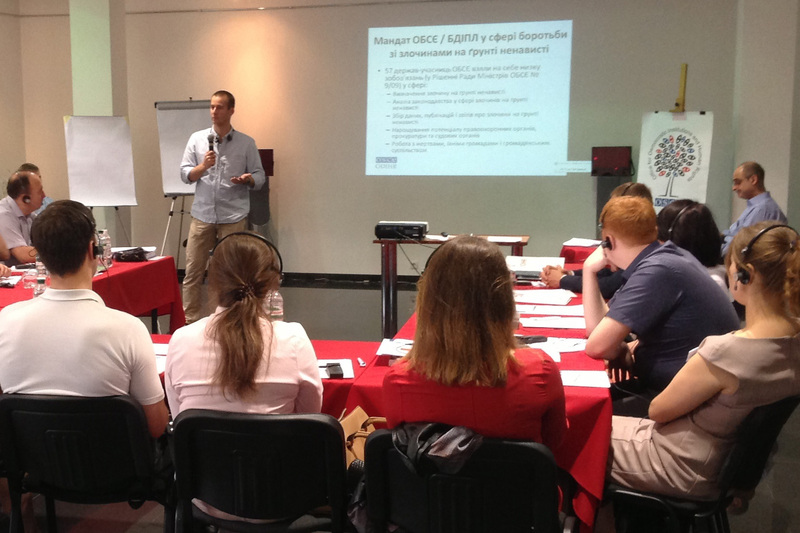 Ales Hanek, ODIHR Hate Crime Officer, discussing international standards on freedom of religion or belief and responses to hate crime with Police and prosecutors from Ukraine during a seminar organized by the OSCE ODIHR in Vinnytsia, Ukraine on 14 July 2015. 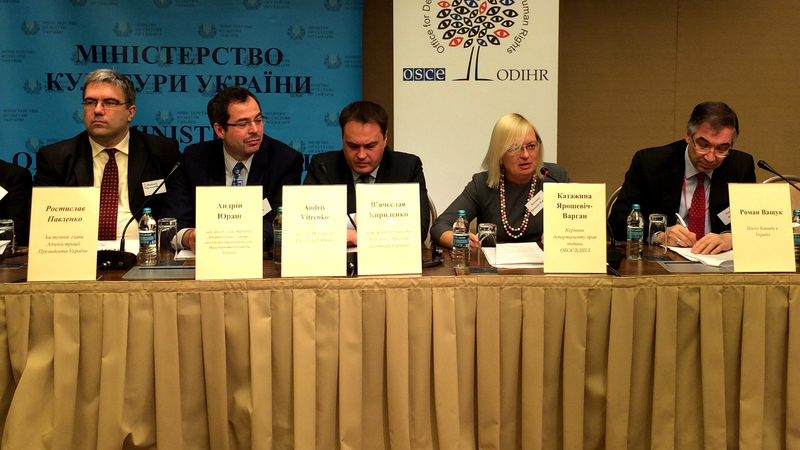 Michael Georg Link (r), Director of ODIHR, and Valeriya Lutkovska (l), Ukraine’s Human Rights Commissioner, signing an agreement to enhance co-operation between ODIHR and Lutkovska’s office in a broad range of human rights activities in Ukraine. 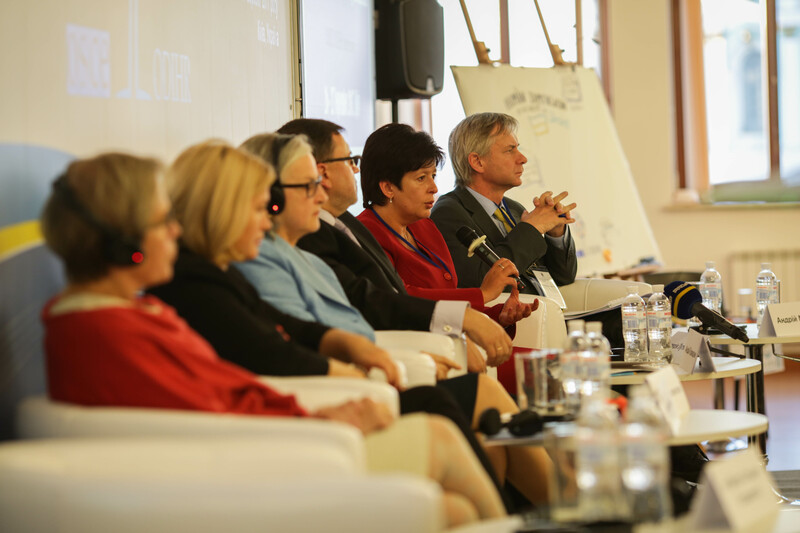 Warsaw, 3 June 2015. 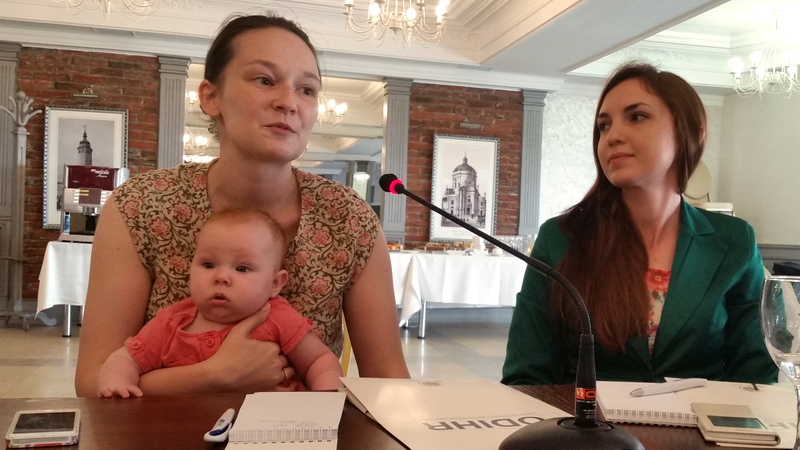 Запрошуємо правозахисників в Україні подати заявку на участь у шестиденному тренінгу з питань моніторингу дотримання прав людини, безпеки та захисту, який відбудеться в період з жовтня по грудень в Україні.